Good morning! So last week I showed you the beginnings of my attempt at punch needle. It turns out that watching back to back episodes of Silent Witness is conductive to punch needle. Because I finished it. It's not the greatest punch needle in the world, but nor is it the worst (probably, I can't actually admit to having seen worse versions, I'm just hoping they're out there). The red inner border isn't very pronounced, despite me sitting and teasing out loads of loops. There were long loops, which I cut, and there were loops in the wrong place. I just pushed those to the side and hoped for the best. It's such a nice texture. It sort of feels like a rug. Mr CA announced that his sister used to do this when she was young. I was doubtful. After a long discussion it turned out he was talking about puff paint (?!?). The finished design is about 5" high and I intend to sew it into a little zippy bag to store my punch needle tool, needles and threaders in. I still don't understand the science of how this works, and I don't trust that it won't all just pull out if I catch a loop on the front. So I covered the back in beading glue. This is the back by the way! I enjoyed this. I'm going to do it again... 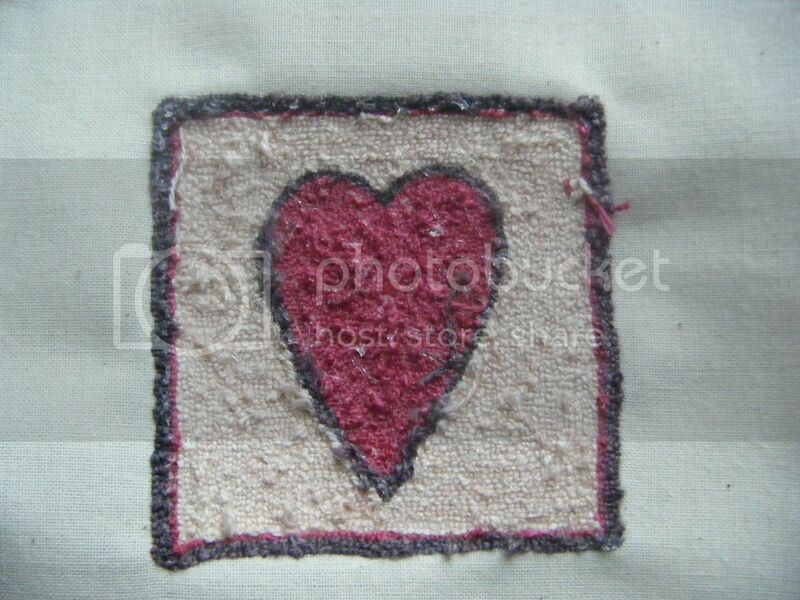 There's a punch needle in Some Kind of Wonderful by Anni Downs which I might recently have accidentally bought. I mean WON! Sorry, won. I did win it Mr CA, you know I haven't bought ANY craft supplies/books/magazines for years, I'm just very lucky... I'm off now to hide the large rabbit scraper foil kit I bought won on Saturday (Wilkos, £3 if you're in the UK and interested). well done with the punch needle... I have never tried it either but keep promising I will... you have been so lucky with all those lovely wins!! Looks good! I had just about forgot that I made a piece several years ago and have one going but haven't finished it. I need to get them back out. Nicely done! 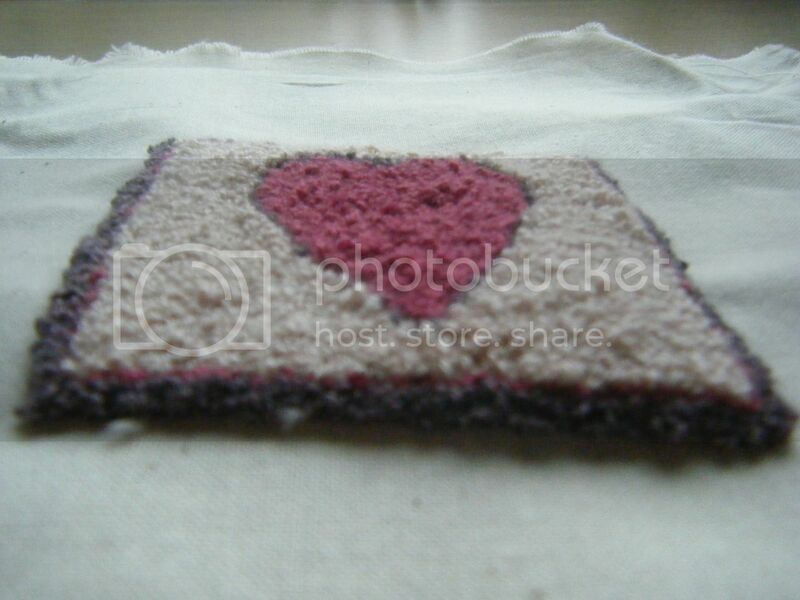 I like Punch Needle and Silent Witness. The glue works to keep the stitches in place because one snag and then all the work would ravel out. Well done with your new craft. I wonder too what would happen if something 'caught' a loop - would big chunks come unravelled? If my cat got hold of it ... YIKES! LOL! 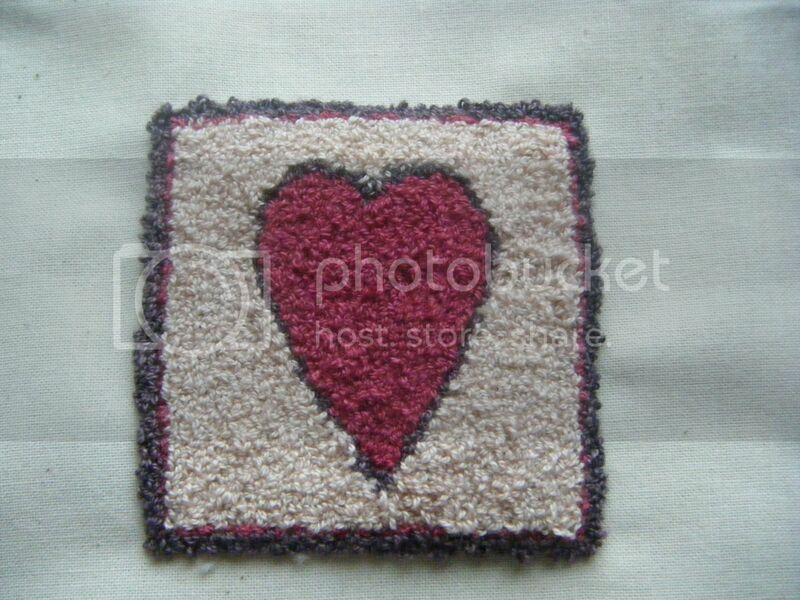 It's cute and I think it would make a very appropriate zippy for your punch needle supplies! Lol Wendy, I often win stuff too!! 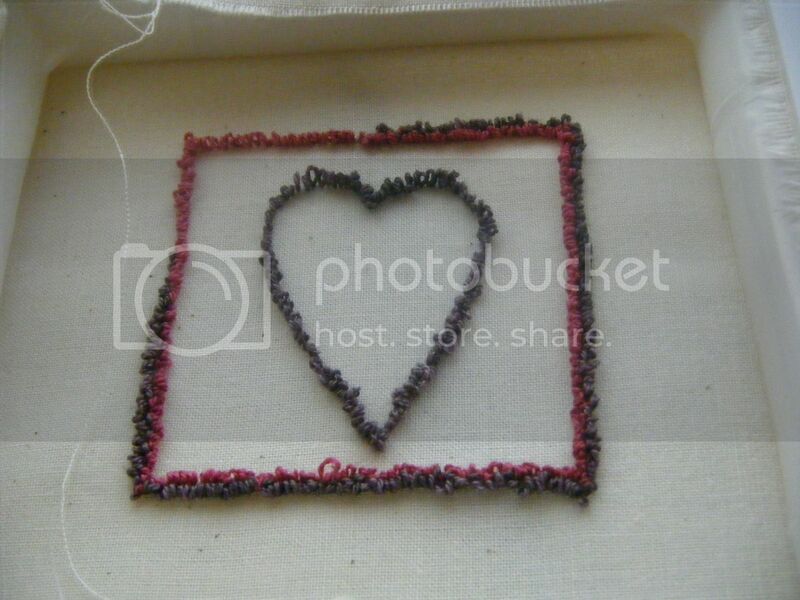 Punch needle looks great, What's the betting if I see a kit at the craft show this month I get one! Have a great weekend. Nicely done! My bff made me a cute punch needle Christmas piece and i love it. I have never tried it though. I can't figure out how it works, even though she explained it to me. That's turned out well, looking forward to seeing some more of your "wins".